6ltrs of professional ceramic media. These tubes of porous media hugely increase the capacity of your filter. Ideal as final stage filtration. 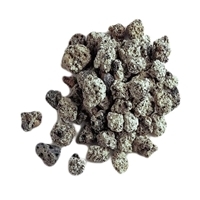 15kg bag of Alfagrog. For biological filtration. This product does not count towards Free shipping due to its weight. 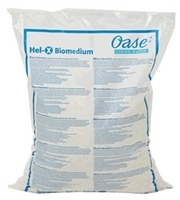 Very effective biological filtration media. Can be used in home-made filters or to enhance existing system. Suitable for moving bed filters such as the ProfiClear or Nexus. Fantastic media, highly effective at degrading pollutants in the moving bed process. 40% more surface area than K1. 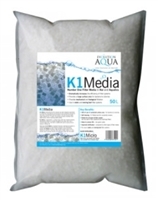 50l of Kaldnes K1 filter media - used in Nexus filtration but can also be used in adapted conventional gravity fed filters.